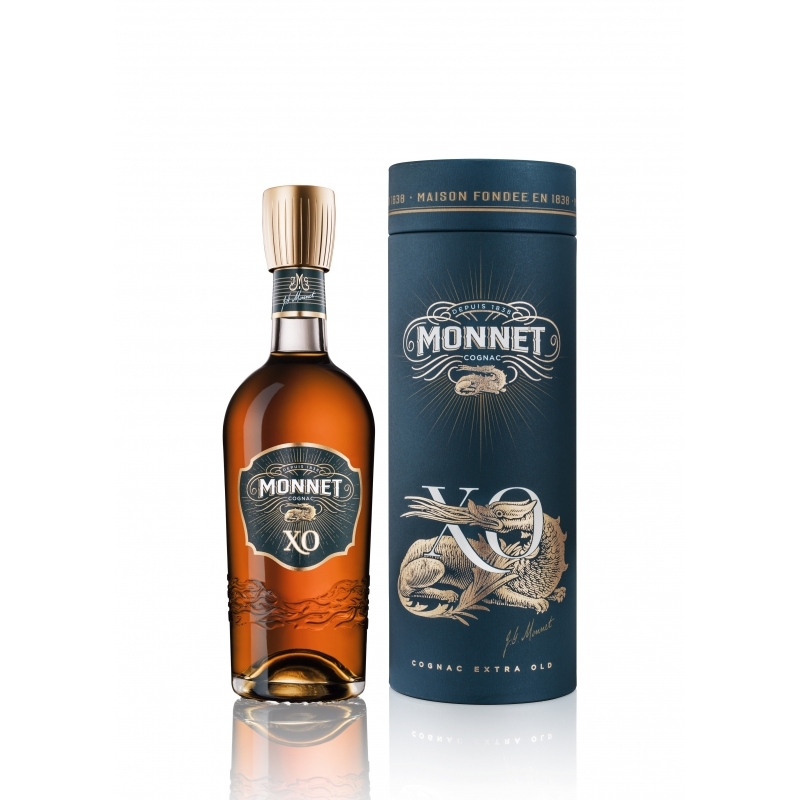 As a coronation of the meticulous production process, Monnet XO personifies the pleasure and dedication devoted to such an achievement. Cognac Monnet XO : Our Extra Old cognac is slowly blended from eaux-de-vie selected primarily from Grande Champagne and Petite Champagne. Meticulously aged in Limousin oak casks far beyond the minimum time required for the XO appellation, this enchanting elixir embodies all the warmth, generosity and quality for which the House of Monnet is known. Burnished gold with highlights of shimmering red, Monnet XO strikes a perfect balance between structure, character and delicacy. 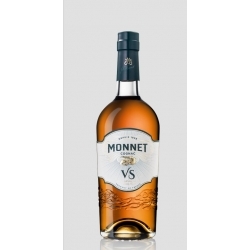 On the nose, this richly complex cognac marries sweet, spicy aromas of liquorice, nuts and candied fruits. On the palate, it offers exceptional roundness, finesse and a luxuriously long finish. 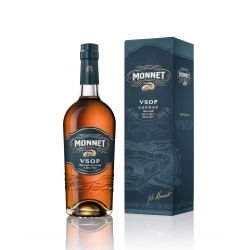 Cognac Monnet VS : Refreshingly genuine Like the salamander, the eaux-de-vie of Monnet VS have mastered the flames of the pot still, acquiring wondrous qualities and exceptional character.